CHECHESMITHNATION : We Are Loving Noble Igwe's Giraffe Print Adire Material! We Are Loving Noble Igwe's Giraffe Print Adire Material! 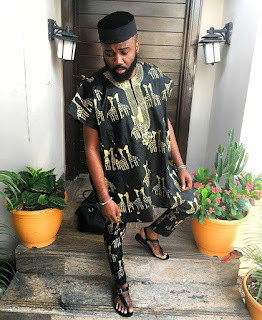 The media personality Noble Igwe,struck a pose rocking this stylish Danshiki trado, featuring a giraffe print Adire. He paired the look up with a black hat and sandals to go.You like?